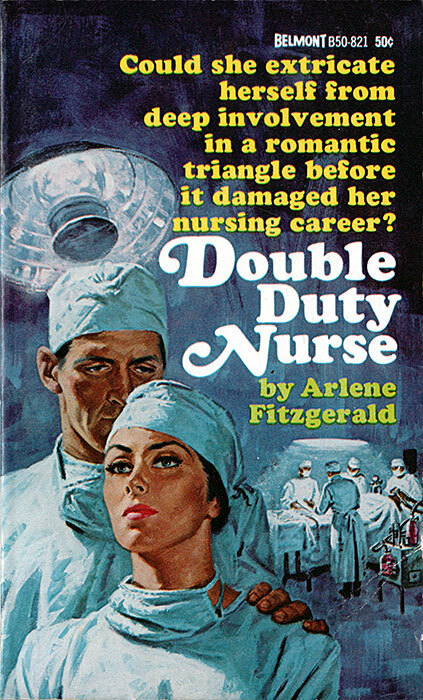 Could she extricate herself from deep involvement in a romantic triangle before it damaged her nursing career? An accident emergency brought Tracey Talbot, R.N. from vacation pleasures to a hospital operating room, as a surgical nurse for the handsome young Dr. Shan Malone. This emergency operation brought her more than she had expected to find at the small ranch community, where she was visiting her aunt prior to beginning her nursing career. It brought her the anguish of a romantic triangle. Win or lose, she knew the battle of love could mean the end of her nursing career.